Palmyre, a multi-language Gospel Singer-Songwriter was accepted to join Devine Jamz Gospel Network's roster as a Featured Spotlight Artist. Her upcoming Single You better know what time it is will be the first song Palmyre will release to the public in English. Palmyre is a Gospel/Christian Singer-Songwriter and was accepted to join Devine Jamz Gospel Network as one of the top Featured Spotlight Artist. Presently, Palmyre makes music that caters primarily to the French/Creole speaking community. Palmyre last two studio albums have been successful on the Haitian market; and now because of her ability to sing in three different languages, the interest shown in her music, blessings fans encountered by listening to it, she is focusing on a new targeted audience. 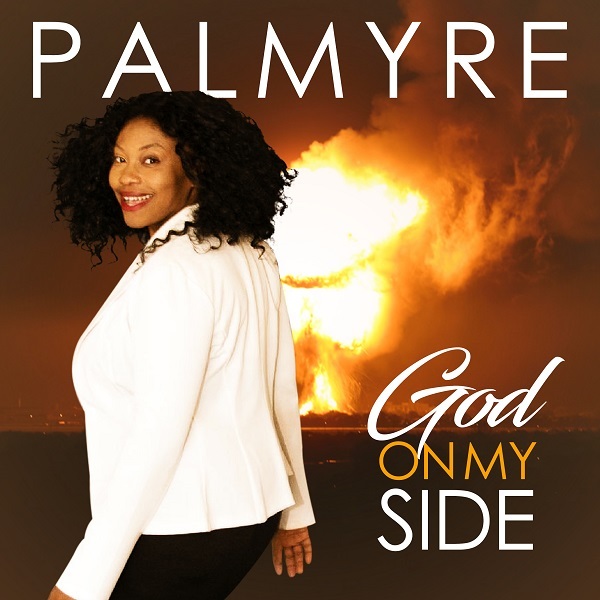 Palmyre will release 3 successful singles before she releases her Album "God On My Side". Brace your self for the first release "You better know what time it is". This upbeat song have a bold message and should not be taken for granted. Palmyre shares the story behind the song and the transparent details that expose her unpleasant character. The marketing team at Devine Jamz Gospel Network feels confident that "You better know what time it is" presents the type of sound you hear playing on Christian/Gospel radio stations. David E. Maxwell with D.E.M. Beats Production wrote a music review of the song saying the song captured and received his attention from the first drumbeat and melodic rhythm to the last chord progression and ending. David further stated that it is a song with an important and inspiring message that encouraged and reminded him how precious and valuable time is and the life he live today. Devine Jamz Gospel Network believes the song have the quality to chart on Billboard. At worst, Team Leader Ray Oster projects the song will rank on DRT's Top Gospel/Inspiration Radio Airplay Chart at #5 or better. Palmyre's content has already been accepted by tons of tv, radio, and newspaper websites where it's trending. Ray and his team of promoters are going all out with public relations resources and speaking with executives about Palmyre's project. The song will be available at most online stores and at CDbaby late August 2018. TV Production Company That Promotes Indie Music Videos On Comcast/Xfinity Cable TV And Satellite! How To Get Your Audience To Find You On The Web!